The signs along the waterfront in San Francisco prove to be interesting subjects. 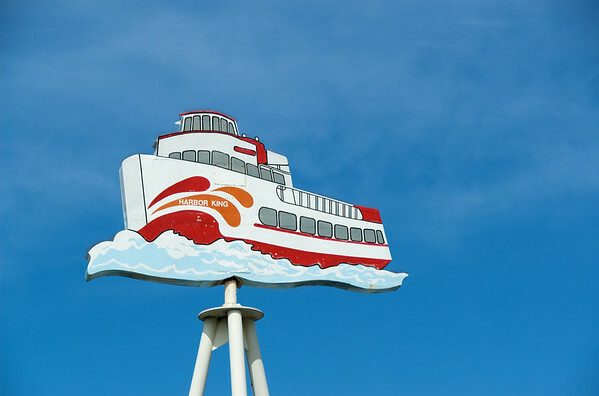 This boat sign is located at Pier 43 1/2. Normally San Francisco's spring/summer sky is mottled with low-lying fog, however this glorious June afternoon proved to be flawless.